Chris has over 15 years experience as an engineer, producer, songwriter, musician, record label owner and has worked with major commercial artists and labels. Chris initially started Oscillate Studios in 2011 from a tiny padded studio in Marlsboro House on Hilton Street and within 6 years has expended into two state of the art facilities at Knutsford and Fourways House, Hilton Street. 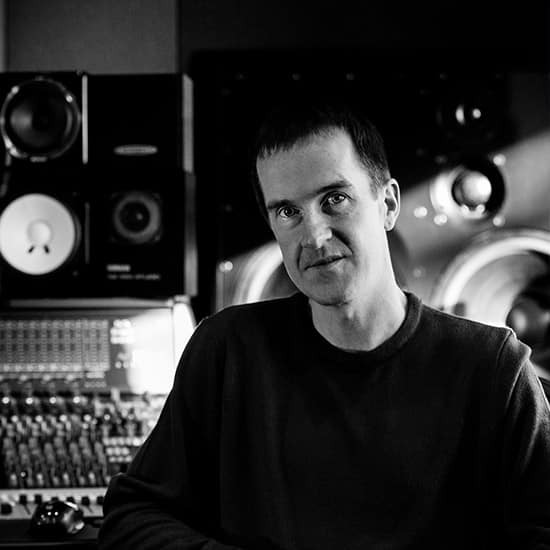 Chris’s production, engineering and musicianship skills has helped him work alongside major artists such as The Courteeners, Babyshambles (Pete Doherty – The Libertines), Peter Hook’s the Light, Gregor Hunter Coleman, Laura White and Syd 31 and has work released on top house label D-Vine Sounds. He regularly engineers for producer Joe Cross (The Courteeners/Hurts) for new up and coming current acts such as the LaFontaines, Carnival Club, Satyr Play and Dantevilles. He has also worked as a producer for BBC Outreach’s Keep It Real project in conjunction with the BBC Philharmonic Orchestra. Chris is also a proficient musician playing guitar and bass. He has music signed to LA publisher PIG Factory with placements on MTV (Jersey Shores and America’s Best Dance Crew). Chris also had success with TVMR, a joint venture with Hacienda DJ Jon Da Silva, supporting New Order and Jamie T, resulting in a full album release called Factory Fatigue on Hacienda Records. The band are currently working on a follow up in 2018. Other past projects included setting up breakbeat/electro house label Splank Records which released released 27 EPs and one album from 2004-2010. He played guitar and Ableton Live for his venture Groove Allegiance and extensively toured in the UK including Fabric, Sankeys, Glade Festival and overseas venues in China, USA, France, Spain and Canada. Samuel is a songwriter and composer with a passion for many types of music from orchestral and symphonic works to Motown and pop. 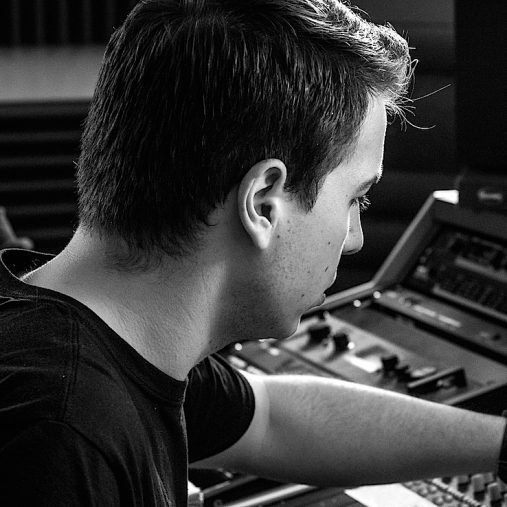 Hristo or Christo as we know him specialise in mixing, production and recording. In particular Rap, R’n’B but can work with any style. Hristo or Christo as we know him, began by writing metal and industrial music and later moved to Drum and Bass and Dubstep. Today he works mainly with cinematic and guitar driven music but also has experience of working with R’nB and Hip Hop artists. Having graduated at Manchester MIDI School he is experienced with using multiple hardware gear (SSL, Midas, Neve), amplifiers, guitar effects, microphones and recording techniques, digital and analogue desks as well DAW’s such as Pro Tools, Logic Pro X, Ableton, Cubase, Fruity Loops and Reason. 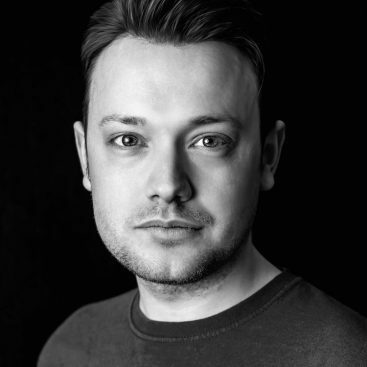 During his time as an engineer he has worked on projects with Graham Massey (808 State) and top level voiceovers at Oscillate with actress Ruth Gibson and comedian Dan Nightingale. 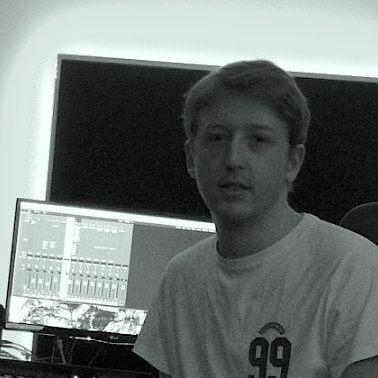 In fact Manchester MIDI School liked him so much he still freelances there as a technician helping students out and is also a valued member of the Oscillate Team. 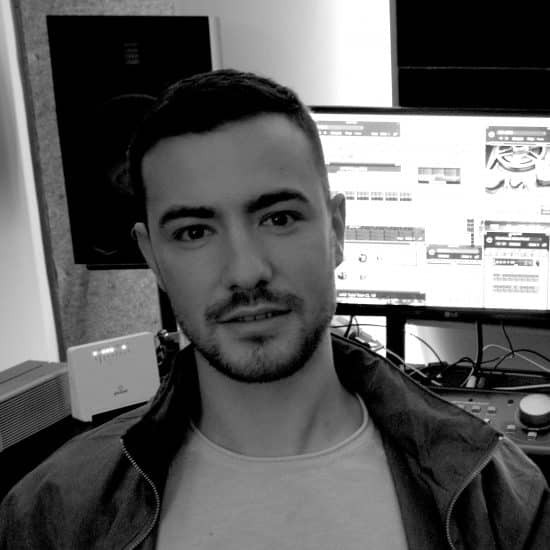 Aaron is a Music Producer and DJ from Manchester with a degree in Creative Music Production (BA) Hons from Manchester Metropolitan University. Aaron has had key sessions and master classes with British Producer “Ken Scott” Best known for engineering at Abby Road Studios, noted for his work with “David Bowie” on “Hunky Dory” also working with The Beatles, Elton John, Pink Floyd, Duran Duran and many more. Aaron has also worked alongside Bill Evens known for engineering Le Roux, MAZE, Flying Colors and more. He also recorded a live set for Peter hook’s The Light (former member of Joy Division, New Order) which was recorded and put onto tape. Aaron has a great background in Electronic music growing up listening to 90’s house music and R&B. Coming from a club culture background he is heavily influenced by sound systems. His main focus is music production, mainly producing for himself and other DJ’s to play out in clubs. Aaron’s focus is using Ableton live and Logic Pro for Production and Recording, focusing on bass driven music. He is currently working on two Record Labels that should be soon to be public in late 2018. He is also currently doing guest mixes for radio shows, soon to have his own monthly shows. Booby is a music producer and DJ from Manchester with degree in Music Production (BA) Hons from Leeds Metropolitan University. He specialises mostly in the use of Logic X and uses his MPC 1000 in productions. He has a wide interest in various forms of music, from rock and acoustic acts to jazz, funk, soul, hip­hop and house. He is involved with a local online music broadcaster Reform Radio, a station currently polled within the top 20 in the world by Mixcloud for online broadcasters since October 2017. He is a great song writer and multi­-instrumentalist with a big interest in the art of sampling. His favourite producers are J Dilla and Max Graef, and his musical idols are James Brown for his raw funkiness and Marvin Gaye for his angelic vocals.